Most Los Angeles and Southern California executives realize that we now live in a “virtual” B2B financial services world. Many business activities that used to have to take place in a face-to-face environment can now take place virtually, which has saved a considerable amount of both money and time for many businesses. But when it comes to working with an outsourced CFO services provider, some owners and executives think that all of these interactions still have to take place face-to-face. Therefore, they believe that they can only work with a services provider that is located in their city (or close to it) so that it’s easy for the services provider to spend lots of time on-site at their business. 1. Greater efficiency — All the factors that make any type of virtual communication more efficient also apply to a working relationship between your company and an outsourced CFO services provider. Start with time savings: Working together virtually eliminates both the time and cost involved in travel. Most outsourced services providers work the cost of their time spent traveling into the fees they charge their clients, so this increased efficiency saves you money. And most outsourced services providers will tell you that they can work far more efficiently when they are working in an environment where they are most comfortable. For most of them, this is their own office, where they have easy access to all the resources they need to work on your engagement in the most cost-effective way. 2. Easier (and safer) access to financial files — More and more businesses today are turning to the cloud for document storage purposes. Cloud computing services provide data storage space for businesses on remote servers, where data and files can be accessed from anywhere, not just from within the four walls of your business location. This includes financial files, which can be encrypted and stored in the cloud and then accessed by your outsourced CFO services provider from wherever he or she is working. This can save time on the part of your staff, which no longer has to search for, find and make available financial data to the outsourced services provider like they would if he or she were on-site. From a security standpoint, cloud services providers have invested in the most advanced and sophisticated data security, backup and maintenance technology available today. Most cloud services providers subject their systems to periodic audits to test their level of security. Therefore, financial files stored in the cloud are just as secure, if not even more secure, as files stored on computers located on your premises. 3. Better use of office workspace — If an outsourced CFO services provider is working on an extended engagement on your premises, obviously you will have to have to provide a physical workspace for him or her. There are hard costs to providing this workspace, not to mention the fact that this is a workspace that cannot be used by one of your full-time staff. Having the outsourced services provider work remotely eliminates this problem. 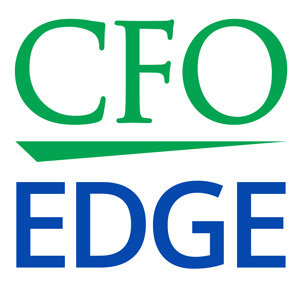 Of course, there may be situations when you need to meet face-to-face with your outsourced CFO services provider. In these instances, most services providers will be glad to travel to your place of business for an in-person meeting. However, you don’t have to limit your search for an outsourced CFO services provider only to those who are located in or close to your city. We now live in a virtual B2B financial services world. Many business activities that used to have to take place in a face-to-face environment can now take place virtually. But when it comes to working with an outsourced CFO services provider, some business owners and executives think that all of these interactions still have to take place face-to-face, so they have to choose a services provider that is located in their city or close to it. But this is a well-worn myth: In today’s virtual world, it is not only possible, but sometimes advantageous, for an outsourced CFO services provider to work with businesses virtually. There are many benefits of a remote working relationship between your business and an outsourced CFO services provider.